At the time when all political parties had their conventions, cases of the new Process Media publication arrived at our front door. 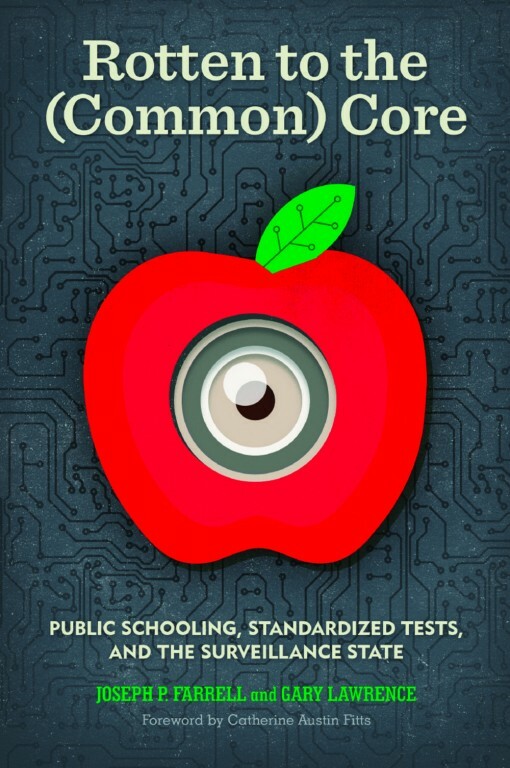 The book is Dr. Joseph P. Farrell and Gary Lawrence’s Rotten to the (Common) Core: Public Schooling, Standardized Tests, and the Surveillance State. Yes, we’ve heard doctrinaire Christians complain of the content of textbooks, and taking the trouble to pass state laws restricting the content of historical or religious studies. These sorts of complaints are not the focus of this book. Rotten to the (Common Core) uncovers the way the State instructs children more than the pedagogy of reading, writing, and arithmetic. The revelations here are both astonishing and troubling, particularly in light of the restrictive discourse on display at both the Republican and Democratic conventions. This bright and dry summer we’ve sent books to the printer: coloring books about David Bowie and Lemmy Kilmister. We’ve also announced the upcoming publication of two additional coloring books to the series, highlighting the lives of the recently deceased Muhammad Ali and Prince. We invite all of you to contribute. We’re very pleased to say that the great Darius James, author of Negrophobia: An Urban Parable and That’s Blaxploitation! is along for the ride as editor of these two new Feral House coloring books. We’re also pleased to announce that Feral House / Process Media will be vending once again on September 10 and 11 at the great Esoteric Book Conference, which meets in Seattle. Master of the Mysteries author Louis Sahagun is presenting his riveting and entertaining discoveries about proto-spiritualist researcher, Manly P. Hall. Read this interview with Sahagun to learn more about Hall and his Secrets of All Ages.